There isn’t a single thing I’m saying here that you should automatically believe. Don’t trust me, or any other so-called expert. Instead, try things out for yourself and draw your own conclusions. That’s the case with art and marketing – you can’t predict what’s going to work. At best, you can try and try again. I love my book Don’t Mess Up My Block. It’s a funny, cynical look at the way we work now. The people who have read it have liked it, especially if they have experience in the bureaucracies of Washington. Yet, this novel is hidden far down the long tail of Amazon, unlikely to emerge from obscurity. For my first novel, Murder in Ocean Hall, I had this great cover by Dave Newman. It’s a classic. My second novel Don’t Mess Up My Block is a journey through the dysfunctional American workplace, from companies obsessed with the latest management fads to federal agencies unable to get anything done. What would make a good cover? Fortunately, I had exactly the right picture, taken while I was at work one day. 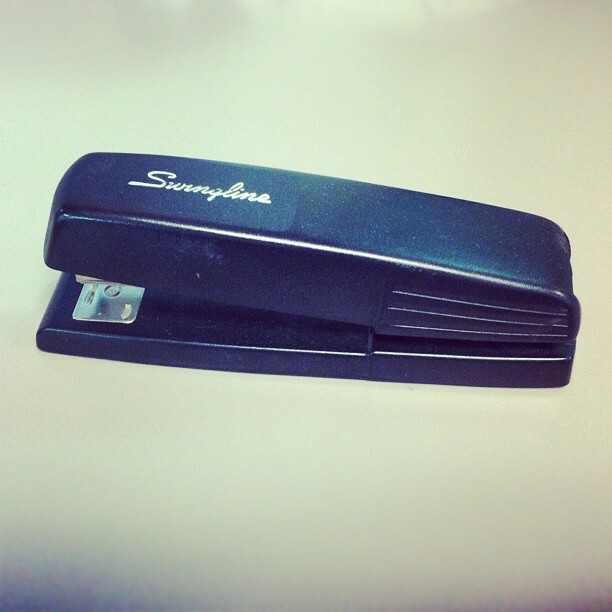 I was amused by the cheap stapler they had given me in my new job and just how beige and early 90s everything in the office was. I snapped this Instagram picture, thinking it perfectly captured the banality of the white-collar workplace. So, that’s it. That’s the new cover of Don’t Mess Up My Block. It’s a funny and absurd cover for a funny and absurd book.